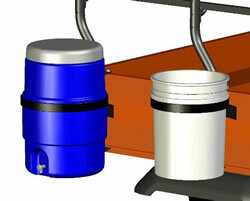 The Cooler/Bucket Cruiser holds different sizes and shapes of coolers and buckets. Installes both inside and outside the RTV RAC Structure. Designed for easy access and quick installation and removal. 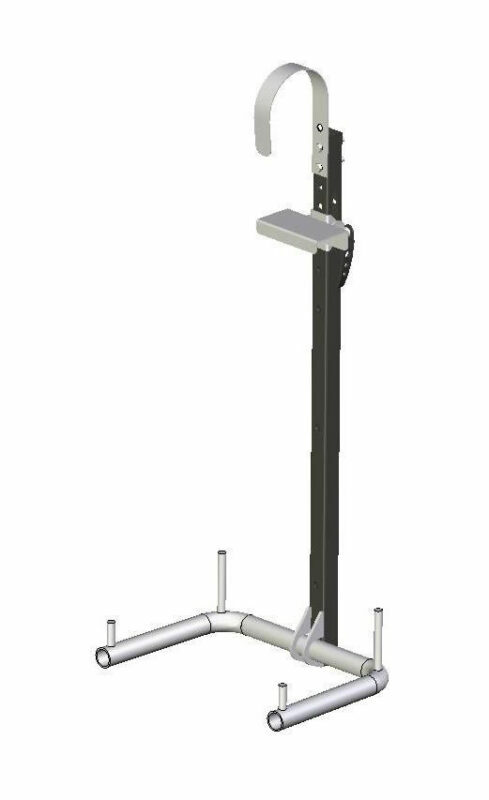 The Long Handle Tool Carrier easily carries rakes, shovels, spades, pruners, and most other long handled tools. 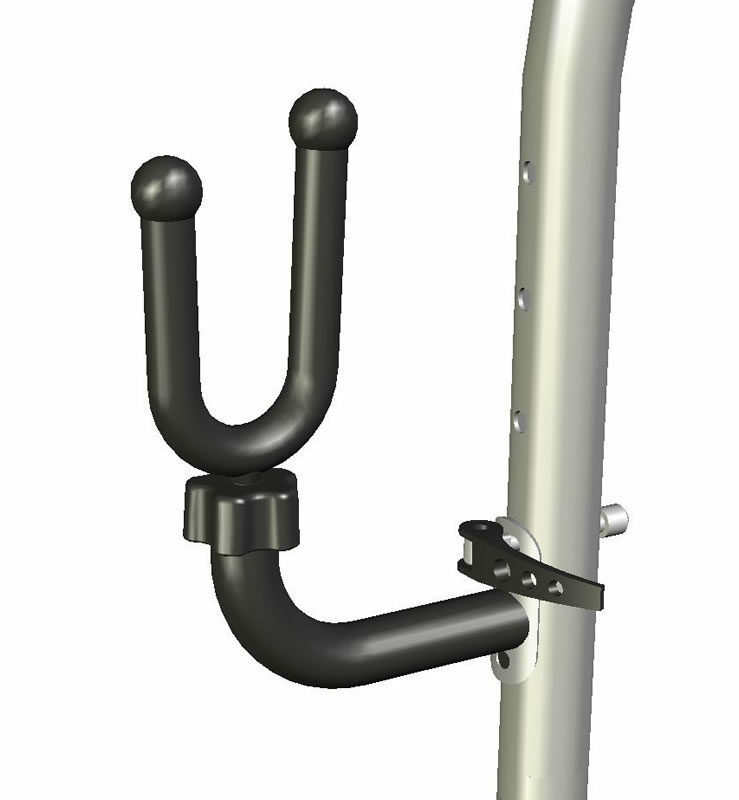 These tools are normally very difficult to carry and take up precious time and space to secure them properly in between tasks.The Long Handle Tool Carrier is composed of two specially designed racks that are aligned to fit many different sizes of tools. The String Trimmer Carrier can be used as a pair to carry string trimmers and very long tools, or use one to carry ropes, hoses and wire. 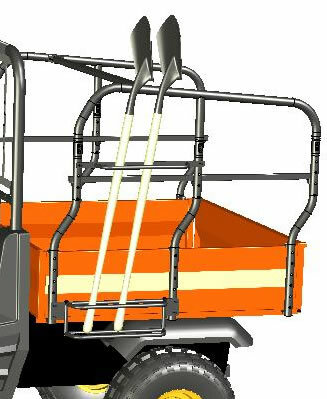 The Back Pack Blower rack secures blowers on the outside or inside of the RTV RAC Structure. Designed for quick grab and go tasks.